Don’t forget them, practice them! That is my heart advice. When the thousand and two Buddhas come to our world and their Teachings still exist this gives rise to happiness for sentient beings; and when the Teachings disappear from the world this causes suffering. While the happiness and suffering of beings is, in general, caused by their own individual positive or negative karma, still, the flourishing or disappearance of Buddha’s Teachings from the world makes a big difference in whether sentient beings are happy or not. Out of the thousand and two Buddhas who will come to our world, the first was Krakucchanda Buddha, the second was Kanakamuni Buddha, and the third was Kashyapa Buddha. Our current Buddha Shakyamuni is the fourth. It has been over 2500 years since he passed into paranirvana. Those three past Buddhas, our current Buddha Shakyamuni, and all of the future nine hundred and ninety-eight Buddhas, cross the great sea of suffering of samsara, attain the Dharmakaya, the Truth Body, accomplishing their own welfare, as well as Rupakayas, Form Bodies accomplishing the welfare of others. Although the paths, they have taken, the methods they have used, are many, briefly it comes down to having found that a selfish, self-cherishing attitude is full of faults and creates problems, while a loving attitude cherishing others has many good qualities and advantages; and that it is only in dependence upon Bodhicitta, an altruistic wish for Buddhahood, that enlightenment is attained. Buddha taught 84,000 collections of Teachings as the antidote to 84,000 different types of delusions in the minds of sentient beings. 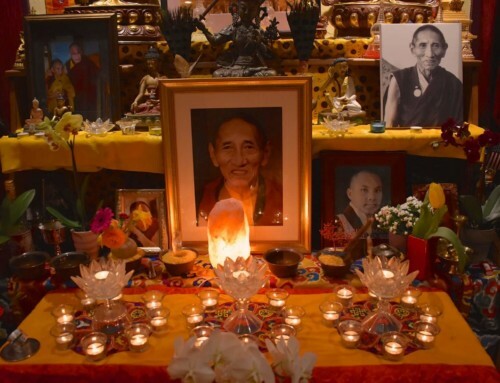 It is taught that Bodhicitta is the very quintessence of those Teachings, including the profound points of them all. When meditating on it you need to start with your close relations. 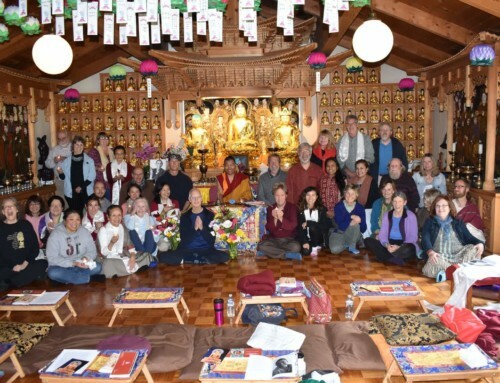 As taught in Mind Training, you start with equalizing yourself and others, in the middle you exchange yourself with others, and finally cherishing others by yourself, you meditate on Bodhicitta in all times and situations. This is said to be the unexcelled instruction. It is said with certainty that there is nothing superior to it. 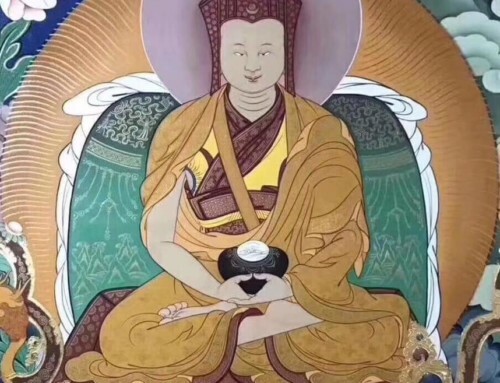 Realizing that with such an unexcelled profound Dharma all is possible, and without it that there is no way to Enlightenment, never forget Bodhicitta. In all times and situations cultivate love wishing sentient beings happiness, and great compassion wishing that they be free of suffering, every day of your life. I not just saying this, it is my advice arising out of my deepest heartfelt wish. The root cause of our wandering in samsara is a cherishing of self like when we are attached your ‘own side’, averse to the ‘other side’, and indifferent about those in between, thus categorizing everyone as friends, enemies, or strangers. If you check, though, it is just a mental fabrication of those who are in actuality all our dear mothers, into types who agree with you as friends, those who don’t agree with us as enemies, and those with whom you have no current connection as strangers; they are mental creations. Just like ourselves all those sentient beings want happiness, don’t want suffering; the problem is our not having thought about this. By being competitive towards those above us, jealous of those equal with us, and disdainful of those beneath us, we accumulate a lot of negative karma in our mind in dependence upon other sentient beings and continue to wander in the suffering of samsara. From now on we must recognize that this attitude that cherishes self above others is the main self-destructive obstacle blocking our path to enlightenment as well as the principal cause of all our unhappiness and disturbance of our peace of mind during this life as well. Nor will you find any happiness in samsara. Thus, as it says, whether you think in the short or long term, thinking of this attachment to self as faulty, direct your mind to the cherishing of others. The difference between sentient beings and buddhas arises from this as well. Arises from wishing happiness for others. Arises from wanting just their own happiness. What need is there to say much? While Buddhas act for the welfare of others. In any case the number of times each sentient being has been our mother from beginningless time up to the present is countless. Strive in all means of bringing them happiness and freeing them from suffering just as you would your present dear mother. Are suffering, how can I remain happy, myself? Aspiring for enlightenment, Bodhicitta, is the practice of Bodhisattvas. In short, strive from now on to benefit others through your actions of body, speech, and mind. Even if you can’t benefit them don’t be impolite to them, combative, disdainful toward them, and abandon all deed and thought to harm sentient beings, your elderly mothers. Great compassion is the very essence of Buddhism. 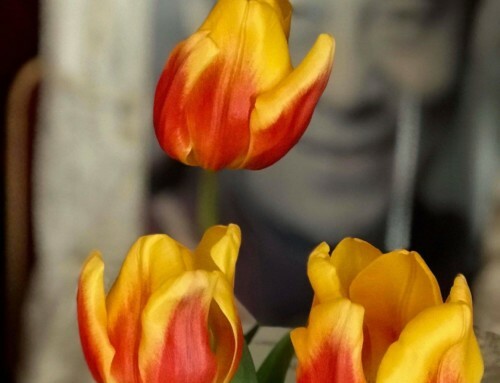 As His Holiness the Dalai Lama has said, ‘My Dharma tradition is love and compassion.’ This is not at all because he lacks knowledge of other teachings. He says it because it is his main intention to communicate that it is love and compassion that is at the very essence of the teachings. If you are someone with love and compassion in your heart, leave aside future lives, you will be naturally happy in this very life. You life will be will be as happy as your mind becomes. If your life is happy then the purpose of taking this good human form has been served. We are now at a borderline when a few people out of the larger society threaten to wreak havoc upon the world; it is obvious to everyone. This can only arise from a lack of love and compassion in the heart. It is really sad. Using this good human form for the sake of creating meaningless bad karma is so regrettable. In short, whether we are considering the long or short term, if we feel overly self important it is the real cause of our own and others’ frustrations. 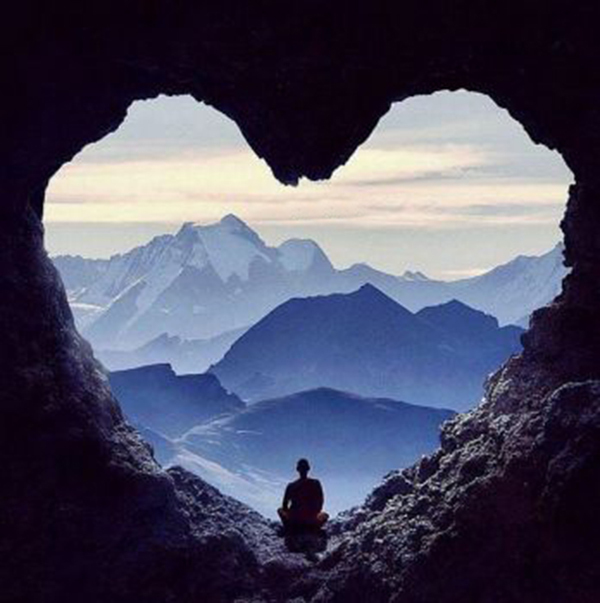 Each day cultivate love and compassion towards sentient beings, meditating on it at least three times a day. Whether or not your meditation on love and compassion immediately benefits others, the main greatest benefit will be to yourself. The cause of our lack of inner peace is negative thinking. Bodhicitta is the real antidote to uproot negative thinking. If we can abandon negative thinking we can find happiness and peace from now on. This happiness cannot come from outside; it must be found within. 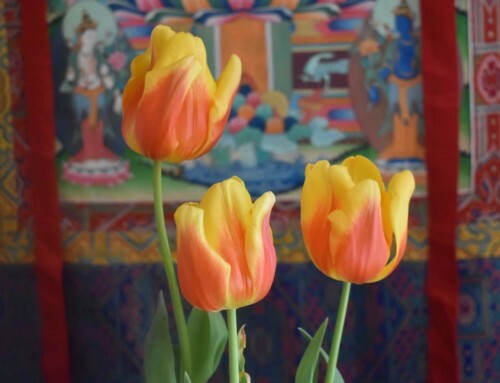 Written by Khenpo Karten Rinpoche for Public Talk on Bodhicitta, Saturday, April 8th, at the Manjushri Dharma Center in Pacific Grove, California, U.S.A. Translation by David Molk.